The Scorch Trials | Stand Up and Speak Out! They were supposed to be safe once they solved the maze. But the Gladers were anything but that. 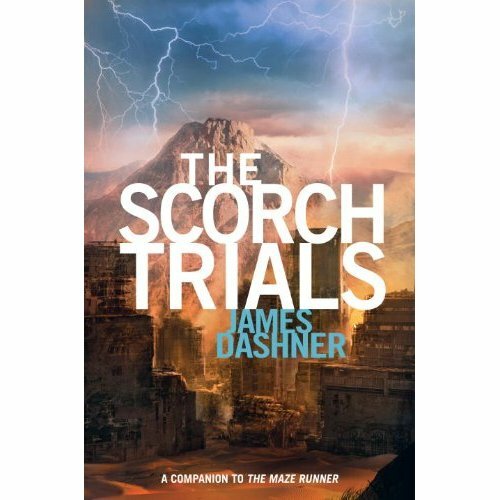 After only a night’s rest, Thomas and the other survivors of the maze are thrown into another test, something WICKED (World In Catastrophe, Killzone Experiment Department) calls the Scorch Trials. Tattoos appear overnight labeling each of them (the Betrayer, the Glue, the Leader, etc.) but one wonders if this just WICKED’s way of keeping track of them or if it’s another test. With their deadline ticking away, the Gladers don’t have time for questions. If they don’t make it to their destination in two weeks’ time, they will not get the antidote for the Flare, a disease that slowly turns people crazy. Soon after setting out on their journey, the Gladers come across metal balls that feast on human heads and people infected with the Flare. Obstacles are thrown at them from all directions. There are storms that bring lightning that crashes into the ground with great force and sets people on fire. All through the journey, Thomas has memory dreams, including one about his mother when he was really young. Most of the dreams, though, are about being in WICKED’s faculties and learning ESP with Teresa. Like The Maze Runner, this book draws readers in right from the beginning. Non-stop action keeps the pages turning as does curiosity. Who is behind WICKED and why are they doing these trials? What part did Thomas have with WICKED before his memory was wiped? What is the Flare? What has become of the world? Does Thomas have a family and are they still alive? And the most important question of them all: when will book 3 be out?